Concussions can occur while participating in any sport or recreational activity. 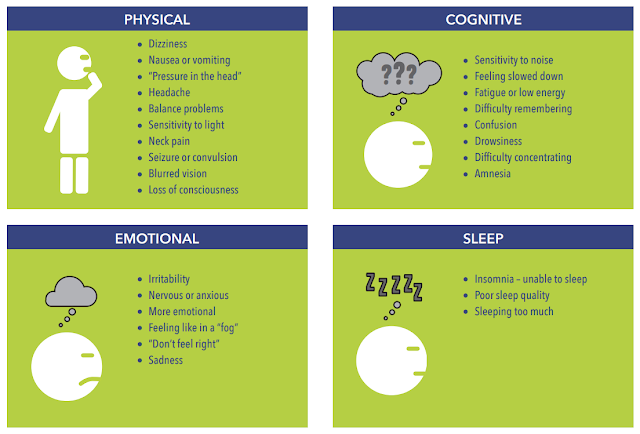 Since the circumstances under which a concussion can be sustained are so varied, it’s important for all coaches, parents, and athletes to be aware of the signs, symptoms, and what to do if a concussion occurs. Ringette Manitoba is committed to increased education, awareness, and established protocols that will assist you in gaining the knowledge and skills required ensuring the safety of your athletes. We can all work together to ensure a safe sport environment. HOW CAN I HELP PREVENT CONCUSSIONS AND THEIR CONSEQUENCES? Head impacts can be associated with serious and potentially fatal brain injuries. The Concussion Recognition Tool 5 is to be used for the identification of suspected concussion. It is not designed to diagnose concussion. Athletes who are diagnosed with a concussion should be managed according to the Canadian Guideline on Concussion in Sport including the Return-to-School and Return-to-Sport Strategies. No athlete that has been diagnosed and is being treated for a concussion can be “returned to play” without presenting the Medical Clearance Letter. A CONCUSSION is a serious event,but you can recover fully from such an injury if the brain is given enough time to rest and recuperate. Returning to normal activities, including sport participation, is a step-wise process that requires patience, attention, and caution.